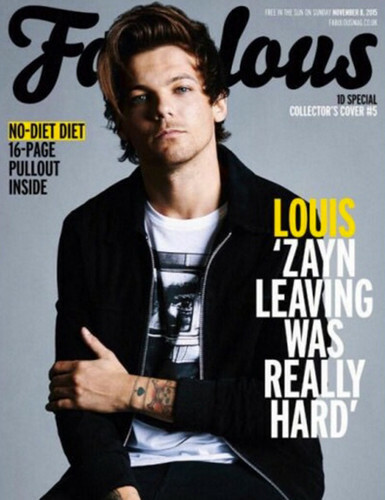 Fabulous magazine. . HD Wallpaper and background images in the ワン・ダイレクション club tagged: photo fabulous magazine cover one direction 1d louis tomlinson tommo louis. This ワン・ダイレクション wallpaper contains アニメ, 漫画, マンガ, and コミック. interview with allsoppa, one direction's january ファン of the month!! !